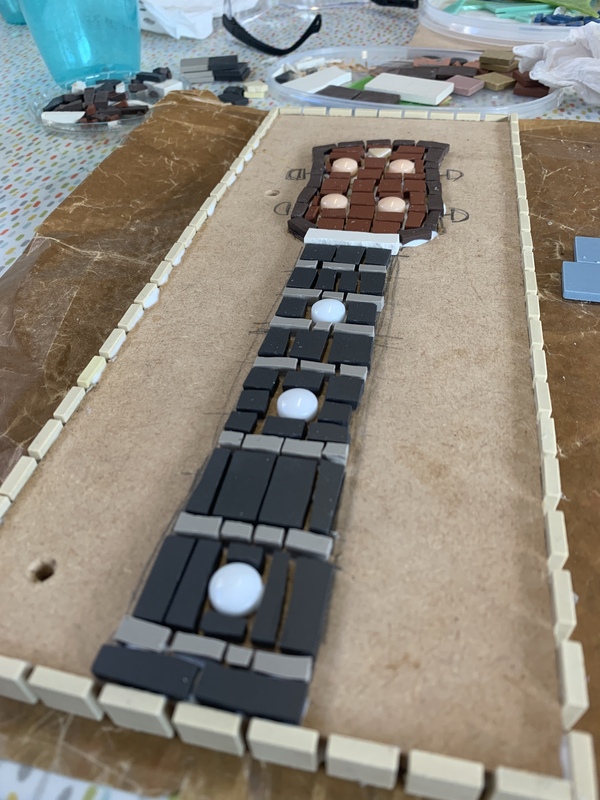 A Quiet Sunday – Tim's Blog! 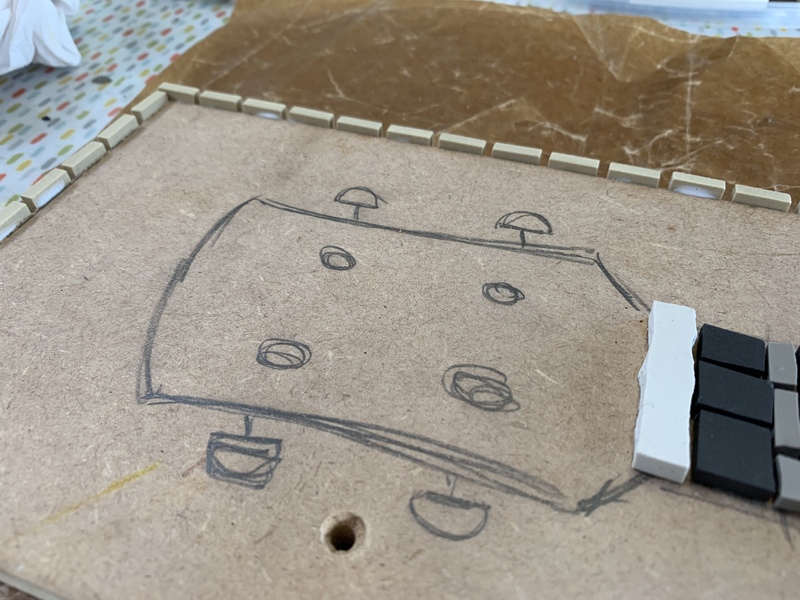 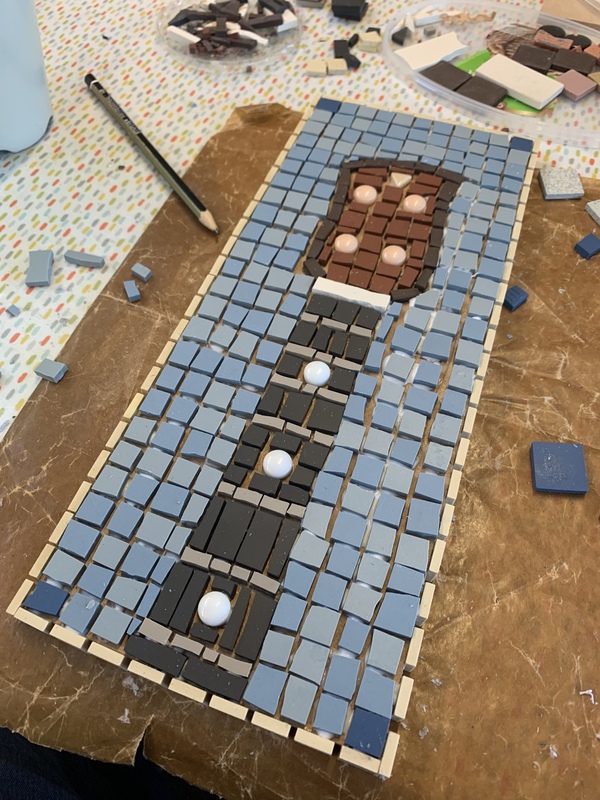 The artist leading the workshop was Coralie Turpin (https://coralieturpin.co.uk) who has some amazing work around Sheffield and further afield. 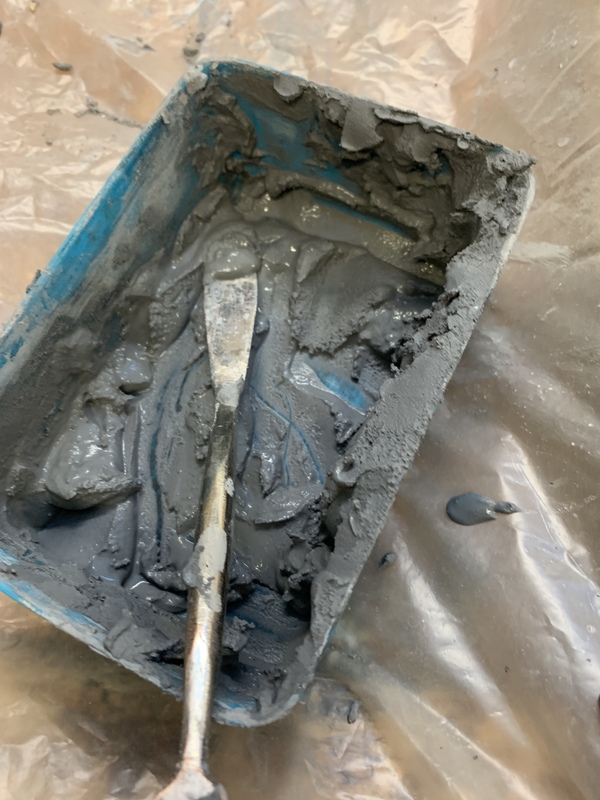 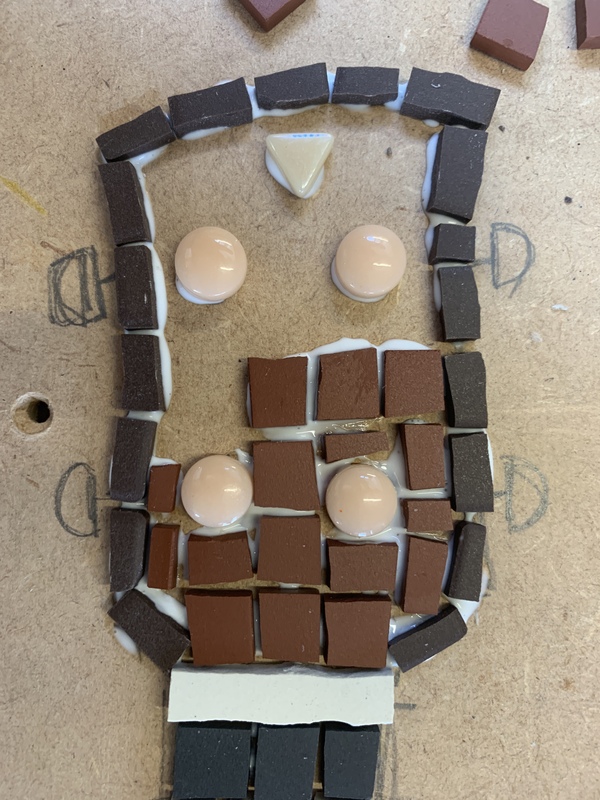 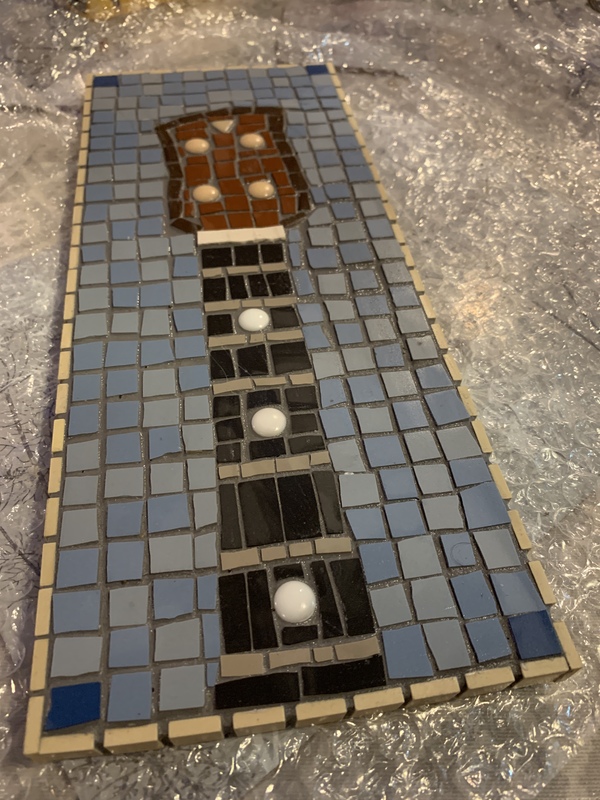 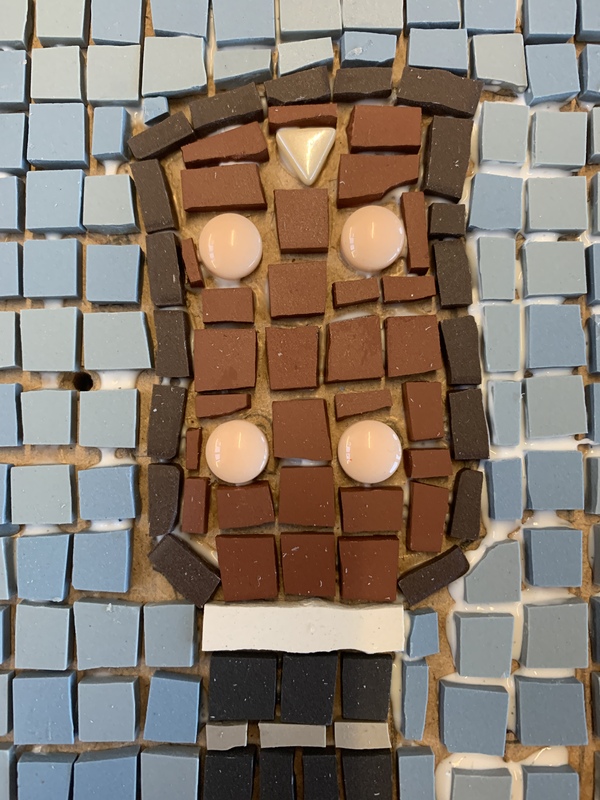 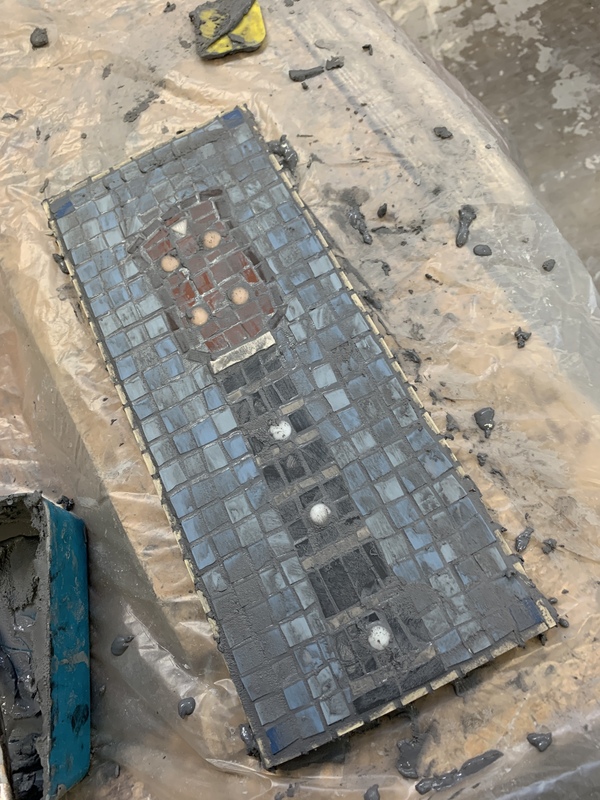 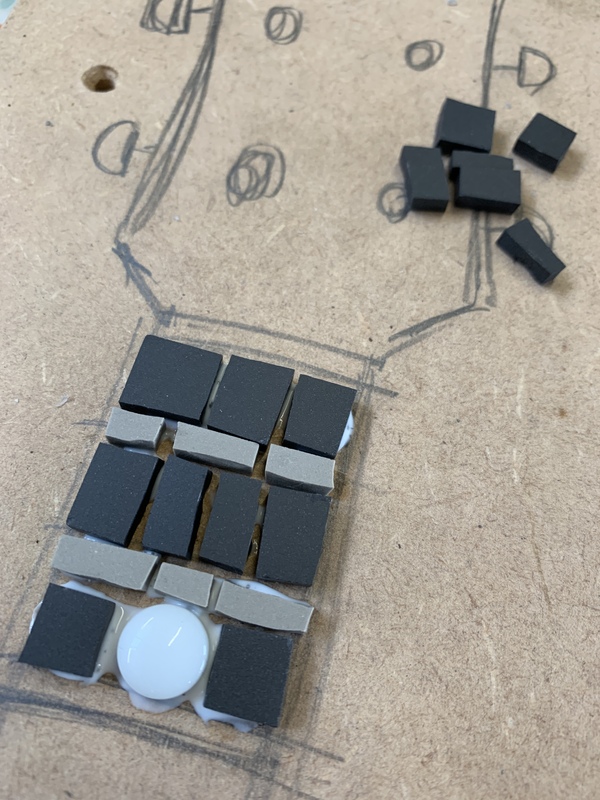 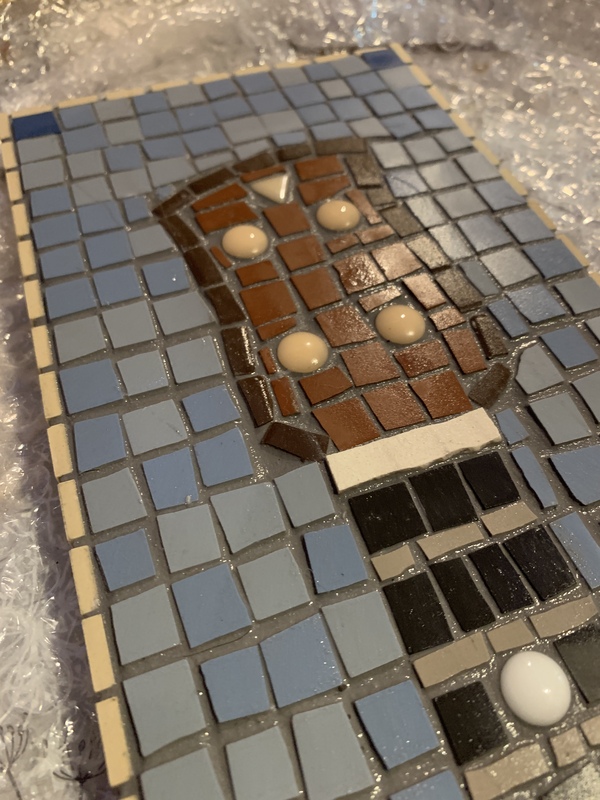 It was a relaxed session at the Yorkshire Artspace and I managed to create a piece and grout the thing in a day… not bad, much speedier than my previous ones! 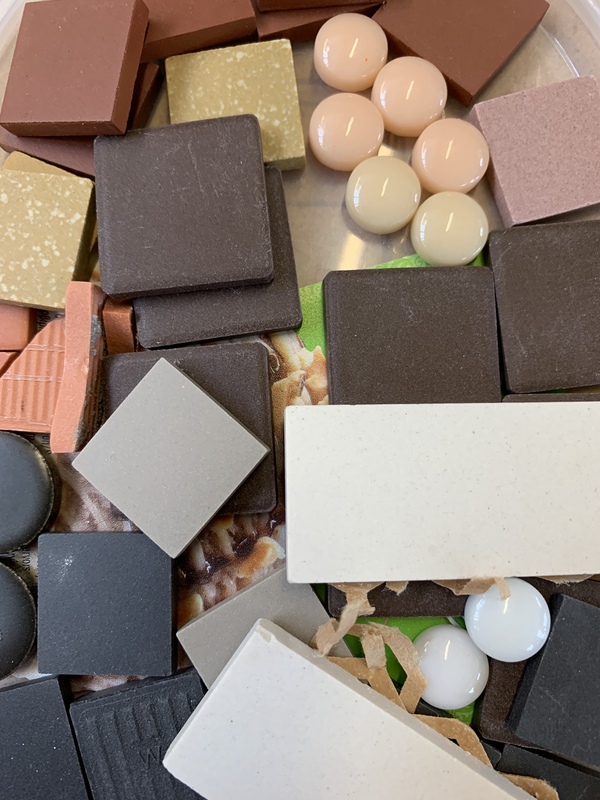 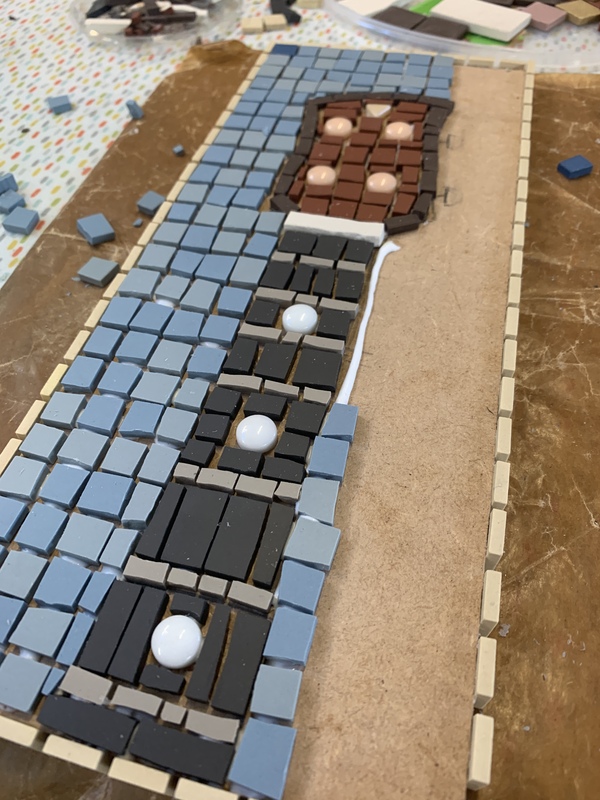 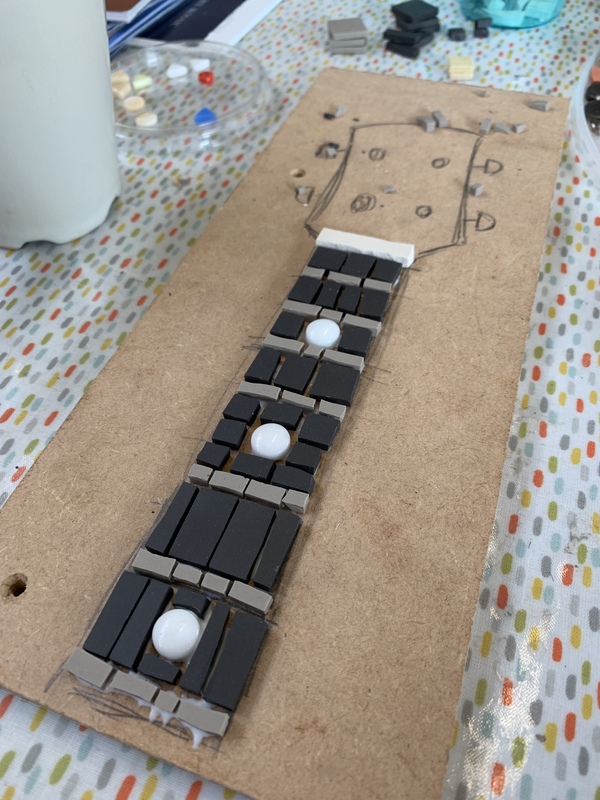 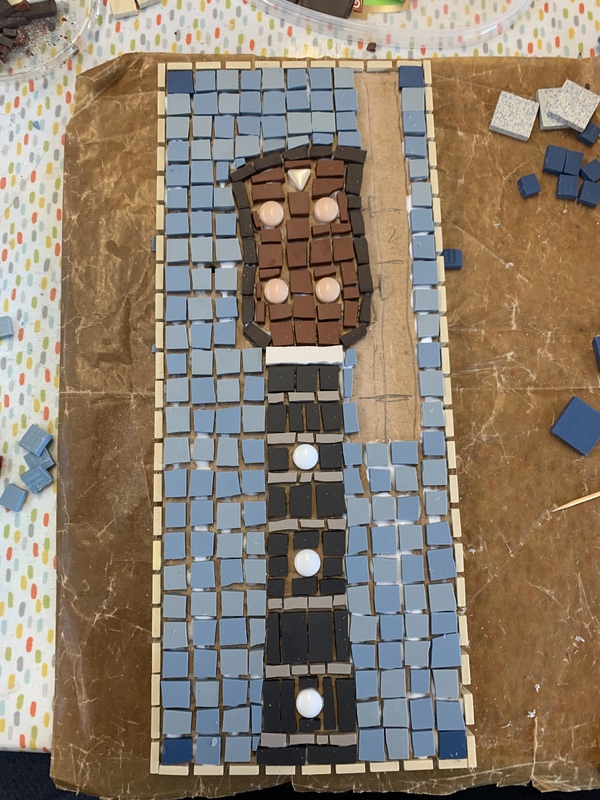 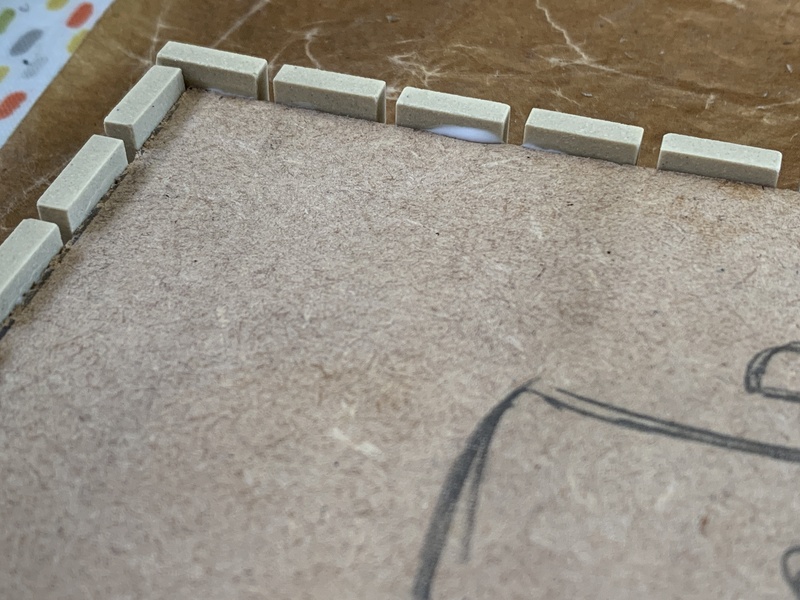 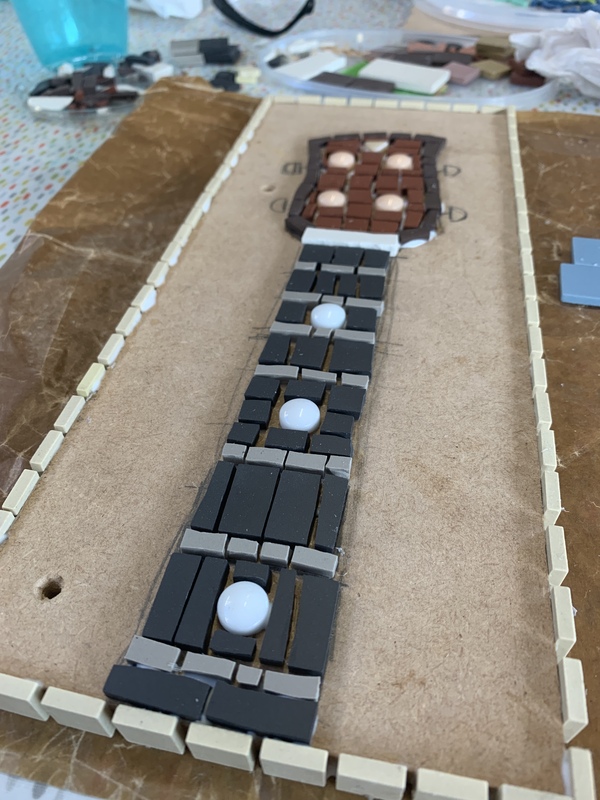 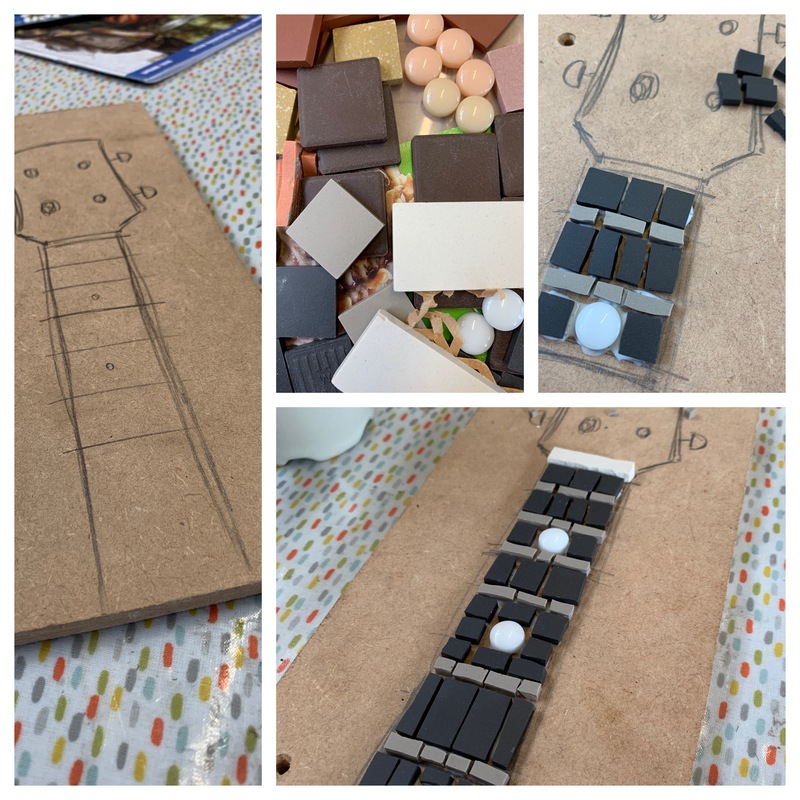 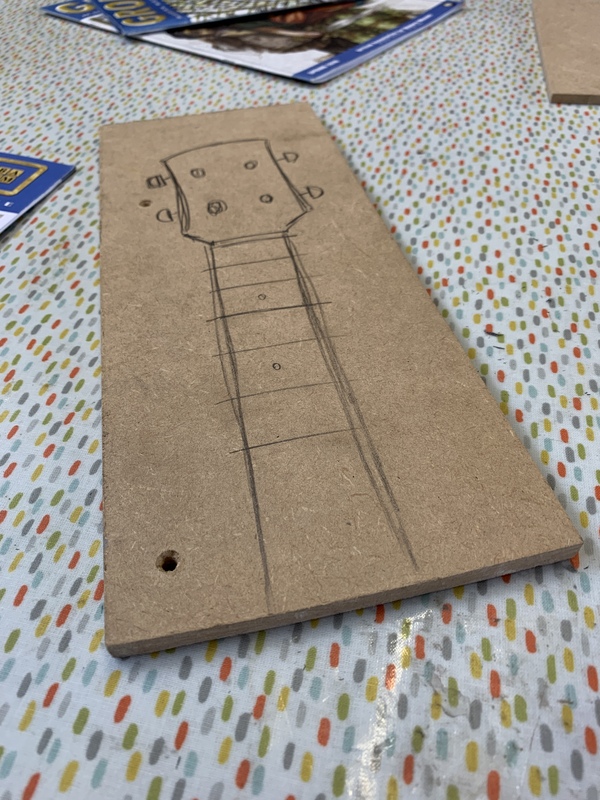 There was a fantastic collection of tiles, and ceramics to use and I ended up creating a ukulele neck in some lovely matt finish porcelain tiles. 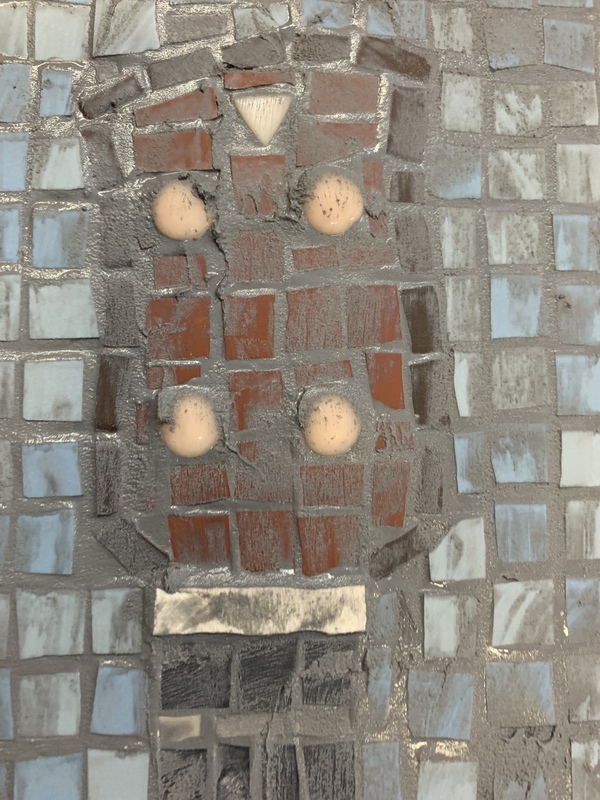 So, thanks to Anne and Coralie – here’s some photos of the steps along the way and the final piece hanging nicely on the wall.